Broken and beaten, Bruce Wayne has retreated from Gotham City - the city of Owls - to Wayne Manor. But no place is safe, because the Court is about to strike at the heart of city, and nothing will ever be the same. Be there for the start of the battle for Gotham City's soul?and the prelude to 'The Night of the Owls.' 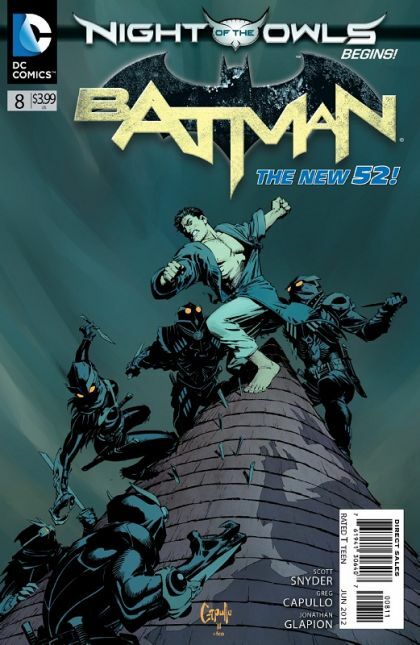 And in the first chapter of a new backup story, learn the secret history of The Court of Owls - as well as the secrets of Gotham City and the Wayne family!